Super middleweight Christopher “Ice Cold” Brooker made a real splash in his first year as a professional boxer in 2015. He fought eight times during the year, going 7-1 with 5 knockouts, as part of Marshall Kauffman’s King Promotions stable. Training out the Fast Lane Boxing Club in the Overbrook section, Brooker brought us a fresh serving of excitement, power, skill, and an always crowd-pleasing, aggressive style. 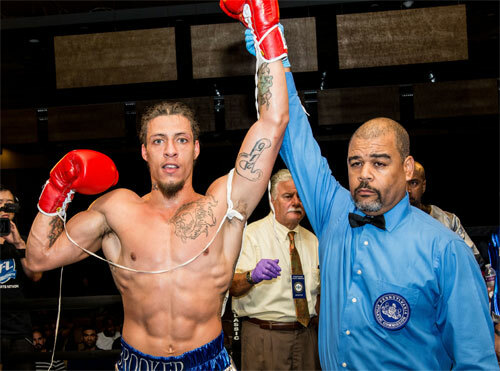 His size, style and collection of tattoos reminded some fans of Gabriel Rosado, and signaled the arrival of another classic Philly ring warrior. Chris battled typical rookie competition during the year, facing increasingly more experienced foes. He showed growth and improvement each time out, and lost only once - and that one by a whisker. He capped his first year with a December decision over then-undefeated Leo Hall in Trenton. All in all, it was an auspicious start for Christopher Brooker and one that promised years of exciting fights from our new Rookie of the Year. 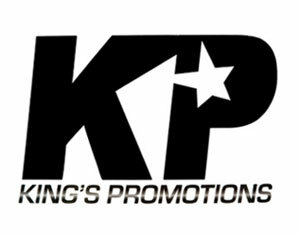 The “2015 Rookie of the Year” award is sponsored by Kings Promotions. 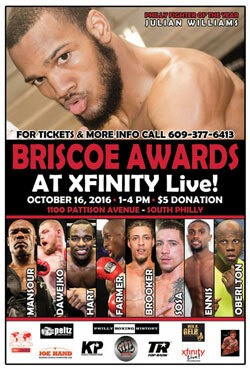 Come out to support Christopher Brooker, the other winners and the rest of the Philly boxing community on Sunday, October 16, 2016, 1-4 pm at Xfinity Live! In South Philadelphia. Admission is $5.